As a wife I make sure there's enough food, bath essentials and medicine at home. I wouldn't deny shopping in different shops from time to time. Store location, wide variety of products and price are top reasons in choosing the right place to shop. It's not my first time to see celebrity in a shopping mall or supermarket. It happened several times. But yesterday I was surprised to see fashionista and interior designer Ms. Tessa Prieto Valdes at Watsons SM Aura Premiere. Spotted her first at Watson's pharmacy section where I was about to purchase pregnancy kit and multivitamins. 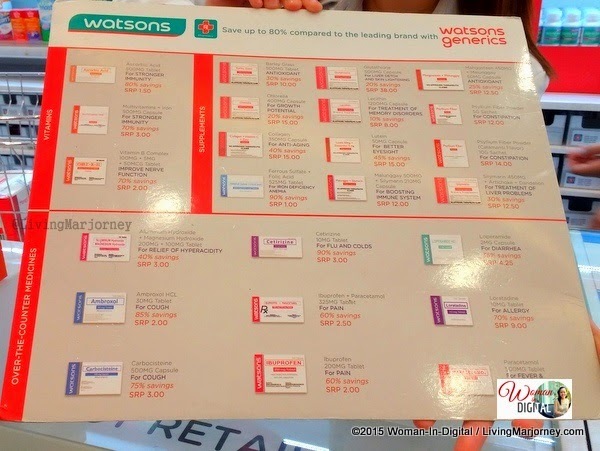 She then offered me Watson's Generics which are 80% cheaper compared to leading brands. 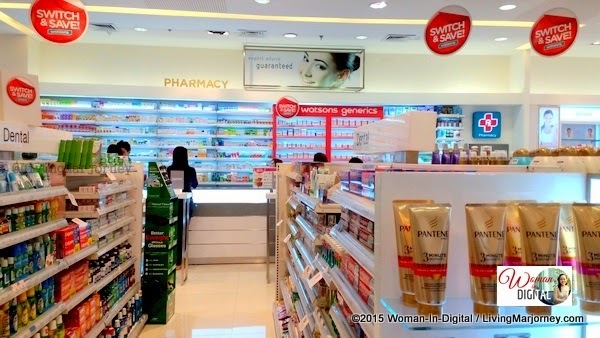 Truly a delight when she assisted my needs and introduced Watsons Generics. We had a short conversation, a sort of Q&A about vitamins. Wearing very light makeup, few hours of sleep and very light lipstick, I look pale. I thought she would tell me I needed some Iron supplement, haha! 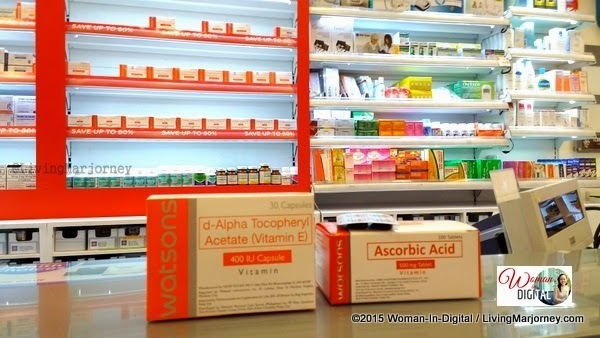 Anyway, she offered Watsons Vitamin C.
If you're a regular customer of Watsons you know the items on sale. I love their Buy1 Take1 body wash and scented hand soap. I can save a lot from buying these items. The cream bath soaps are thick and foamy. 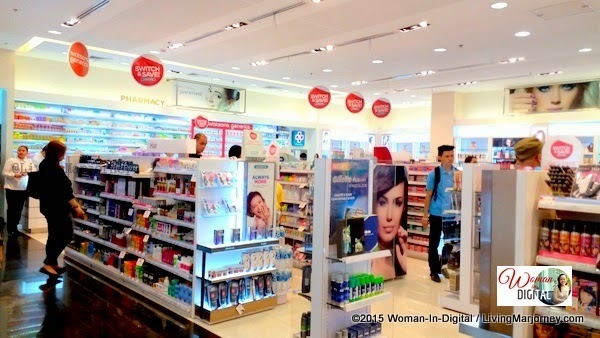 Aside from Watsons products, other leading brands are available like Dove, Pantene, Colgate, Nivea products which is currently on sale. Today she wore different hats from sales lady, cashier to merchandiser. I spotted her wearing simple yet classy hair dress, lovely bangles and in light green Watson's uniform. 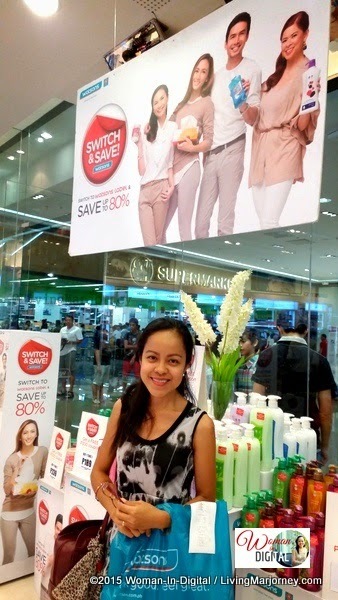 Not only once, I bumped her at Watsons SM Aura Premiere yesterday several times when I went there to shop for women's personal care. If I have time, I love talking to their staff. Testing products before I buy. 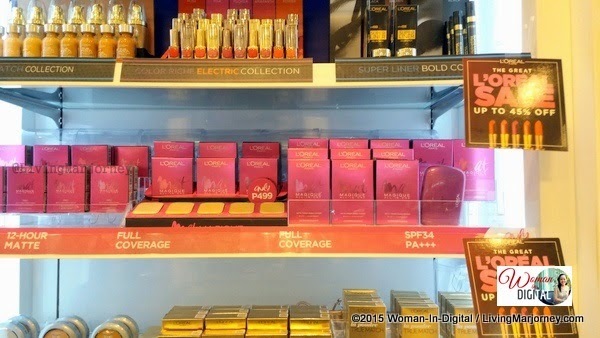 L'oreal is on sale and I just bought Magique All-In-One Powder. Review soon. Ms. Tessa did the job of a merchandiser. She's so friendly and accommodating, she entertained selfies with customers. Tessa also played with kids while parents shop. 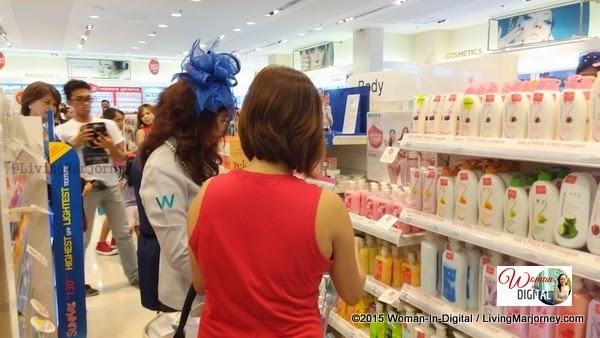 She even went outside the store, waved and greeted passersby, invited them to visit Watsons. 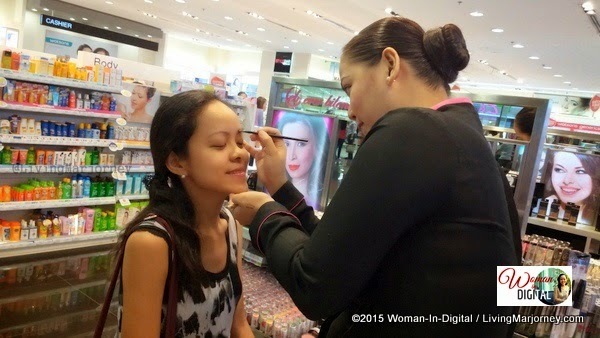 It was a pleasant shopping experience at Watsons with Tessa Prieto Valdes. 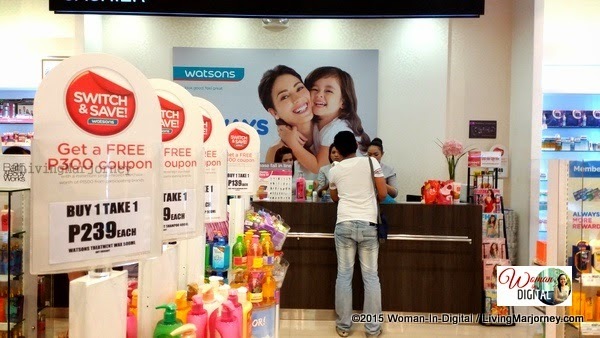 I go gaga on huge discounts and buy1 take1 Watsons items. Customers can get P300 free coupon with every P1,500 purchase (hurry, ask the friendly staff for product featured).